Combine sweet potato with milk, sugar, flour and spices. Mix well. Add raisins, coconut and margarine. Mix thoroughly and taste for sweetness. Add more sugar to taste. 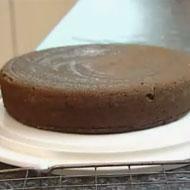 Pour into a greased baking tin and bake at 370F for approximately 1 hour, or until centre is set. Sweet potato pone can be served hot, cold, or at room temperature.